Padre Beach View 237, also known as Estrella del Mar, reflects the casual coastal elegance found here on North Padre Island and is ideally suited for your family and friends even your dogs (one dog up to 75lbs allowed). This beautiful new property is just steps off the beach with beautiful gulf views. Estrella del Mar offers guests everything they're looking for in a vacation home and so much more. To start the entire unit is decorated in a relaxed casual beach style with upscale furnishings, beautiful colors and artwork. The kitchen is fully-equipped to cook breakfast, lunch and dinner or mix up your favorite frozen concoctions. The quality of this property is exemplified by over-sized HDTV’s in all rooms and luxurious bedding. There are two living areas, one upstairs and one downstairs. There are two master bedrooms, one upstairs and one downstairs, each with king size beds and private bathrooms. The upstairs master bedroom has a generous private balcony with beautiful gulf views. There are two additional bedrooms upstairs, one with a queen size bed and the other with a full-twin bunk bed and they share a full size hallway bathroom. Two additional guests can sleep on the full size futon in the upstairs loft and two more can catch some Z's on the queen size bed that folds out of the credenza. The Padre Beach View complex is the new premier vacation destination on North Padre Island. It features a state of the art saltwater pool that is surrounded by coastal palms and lush tropical landscaping. There's also shady poolside palapas, picnic tables, lounge chairs, bar-b-q grills and a splash pad for the kids to enjoy. The pool is also heated for year-round enjoyment! Each unit also comes with 2 reserved parking spaces and a private wifi network. Don't miss the opportunity to enjoy this carefree environment that will leave you well rested and relaxed. This unit requires a 3 night minimum in the summer season and a 2 night minimum the rest of the year. The condo is well decorated and rooms are well equipped. It also has a cozy patio. Doors to the balcony and patio give you fresh air in the night. We stayed in March, so weather was really good for such healthy sleep. Kitchen has all necessary utensils. We had great staying in this condo!" Great attention to details from trash-bag, dish detergent to cookie cutter shaped with the sea theme. I will recommend this property to friends "
Our family of 4 had a wonderful Padre visit staying in this unit. The location was really nice as we could easily walk to the beach. The unit was well-appointed and the decor was absolutely lovely. Everything put us in a relaxed and happy mood. As usual, Padre Escapes was a delight to deal with, and made sure things were perfect and easy. We also had a really good experience renting a golf cart from the Salty Dog. " Our group of 10 ladies really enjoyed our stay at this beach-themed beach condo! There was plenty of room and the decor was just perfect. The location is a short walk from the beach and we loved the option to drive our vehicle onto the beach. The pool onsite was chilly, however, but nice and we were wishing for a hot tub option. The amenities included in the condo were above and beyond expectations- a jimmy buffet margaritaville machine, all the fun glasses and even a seahorse charcuterie board! We also didn’t find the pull out bed hidden in the living room entertainment cabinet until our last hour- so heads up there if you need an extra bed. You can see the ocean from the top deck off the master upstairs. The management company was easy to reach and very responsive...the whole process from booking to check out was efficient and pleasant. Thanks for a great stay and awesome birthday celebration weekend! " Condo was great very clean and plenty of space for our large group. All the amenities provided by the condo were also great. The location was perfect you could walk to the beach. Checking out was made so easy. We have stayed at 2 other condos and this is overall the best one and we will definitely stay here again. " It was perfect for our family. Very clean. Great time. " We stayed at padre beach view 237 and it was amazing. My family enjoyed their stay and kids had so much fun at pool. The condo exceeding our expectations and will be definitely be staying here again. The condo was very roomy for our large family. Beach was also in walking distance." Our family travelled to Corpus Christi for an event. We needed a place to stay and the rental was less than hotel rooms. The unit accommodated all us comfortably and was much more relaxing than a downtown hotel." Townhome was clean and spacious for our family stay in Corpus Christi. Great experience with check in and check out." This was a nice house. Decorations were great and beds were clean and comfortable. The showers worked well and had plenty of hot water. The kitchen was thoughtfully stocked and we enjoyed home cooked meals throughout. They even had a crock pot. Minor repairs were needed to fix door knobs; getting trapped in the bathroom as not fun. Additionally, the path to the beach was not cleared, the pool heater was broken, and the oven cooked low. It was a chilly few days, but we enjoyed being together and spending time together. Thank you for sharing your house with us. " Good 2 months rental. Clean unit and all equipment worked. Living room furniture should be cleaned but all beds were very comfortable. Close enough to beach to walk to. Weather in January and February not the best." Everything was great except slow toilet downstairs master bath I had to use plunger several times I’m guessing that’s why the plunger was left there from past experiences"
We loved the house, it was cozy and beautiful. We would love to go back during summer time. " 9 adult family members gathered in Corpus Christi to celebrate Thanksgiving and go sailing in CC bay. We enjoyed staying at this condo with only one complaint. The kitchen was listed as fully stocked. There was only 2 12" skillets, one small dutch oven and one saucepan. We had prepare our holiday meal in stages because of lack of cooking supplies, including utensils. I would recommend bringing your own pots and pans if you intend to do a lot of cooking, which is what we always do when renting places to stay for family/friend gatherings." "Great system, great service, great place, GREAT VACATION! From committing to rental to check out, your system was flawless. Always updated. I never had to talk with anyone until check in. We had a slight ant problem (everyone does down there)it was handled promptly. Very nice accommodations. Location was just what we wanted. Will definitely use again and recommend. Can't say enough about how much fun we had and not having to stress over our stay. THANKS!" Great location, easy check-in and check-out. The property was exactly as described and we had a wonderful stay. Would definitely recommend!" Rooms were all nice and clean,location was great close to gulf about 3 minute walk"
We loved our visit to the Padre Beach View 237K property! I was a little apprehensive of it being a town home right next to other rentals, but it was SO QUIET and beautifully set up so that it was not overly crowded. We have an 18 month old, so the quiet was a huge deal for me when it comes to night time. The house was beautiful and the location is just across the street from one of the nicer beaches in the area. Absolutely one of the best rental properties I have ever stayed in - I will return!" This is a new, well appointed townhouse very near to the beach. We were very happy with our choice! " This is a beautiful, clean space with comfortable beds and everything you need for a beach getaway (including little extras like games, a beach umbrella, and a high chair, oh and a margarita machine :-)). You can walk across the street to the beach or hang in the complex at the heated pool, and we split most of our days between the two. I was a little worried about the size of the space with six adults and six kiddos, but there's a great courtyard to spread out during meal time, and the extra living area upstairs made for a perfect hang out spot for the kiddos. The only thing I would mention is being very careful not to cook anything in the oven above about 350 degrees or anything at all in the oven or on the stove that's even a little bit smokey. Even with the exhaust fan running we managed to trip the smoke alarm a few times. At least it got everyone up for breakfast! ;-) "
First of all, great location. Walking distance to the beach and the pool was a great way to end our nights. We barbecued poolside and there was more than enough room for us 10. The elderly neighbors were very friendly. The boys introduce themselves and took their trash out daily. We will stay again and highly recommend this place. The people in the office were very helpful and friendly as well. Easy check in and check out is a major plus also. Thanks, Padre Escapes!!!" We had a wonderful time. The place was beautifully decorated, clean and completely furnished for our all needs. Thank you for the great stay!!" My family and I stayed in this townhouse for 5 nights. It was very clean and beautiful. The pictures and discription of this property are accurate. Easy access to the beach and short drive to restaurants, convenience stores and souvenir shops (in case you forget anything for the beach).The property managers were very polite and professional. The next time we travel to Corpus Christi we will definitely stay at this townhouse." The place was well equipped and clean. Comfortable beds. Checking insnd out was super easy and convenient. Staff is friendly and helpful. " It's a awesome place to stay. It was clean and friendly staff and guests." GREAT, clean and close to the beach. The only issue is having only 2 parking spaces for lg family with 4 cars coming from all over the State. " We had a great stay. Rental was clean and a great location for the beach. " Our five day stay a Padre Beach View 237 was exceptional. The property was within easy walking distance to the beach and the pool on the property grounds was great! The townhouse was well equipped with plenty of room for our whole family. 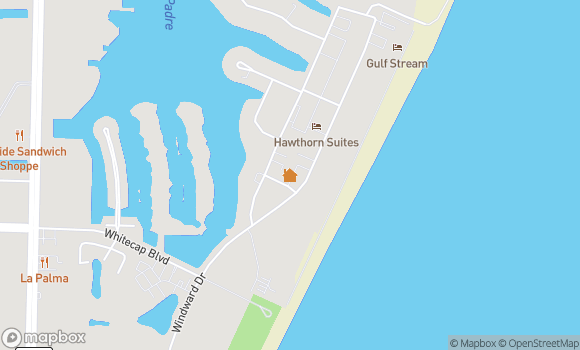 I would definitely recommend Padre Beach View 237." We brought a group of high school kids for a competition. The condo was very homey and the students didn't want to leave. They wanted to stay.The property was as described and was clean. The manager at Coldwell Banker was very friendly and helpful. I would recommend this property to friends and family. While here we spent time on the beach, which was the first for some of my students." Apr 05, 2016 - Shane L.
This condo was perfect for our family. Beautifully decorated with so many thoughtful extras included. Games, video games and DVDs. High chair and pack-n-play, boogie boards, ice chest and beach chairs. Truly was like being a guest in someone's home." Beautiful condo! All the comforts of home. Plenty of room for everyone.close to the beach. We loved it and would definitely come back." We traveled with our children and grandchildren - 12 of us altogether - and stayed in one condo. The condo was very clean, the furnishings were nice, and the beds were extraordinarily comfortable. We had plenty of room for all of us and found everything we needed and beyond in the condo. The pool was very nice, and we had access to a lovely beach. The staff at Padre Escapes were most helpful. We can recommend Padre Beach View and would stay there again. Two disclaimers: You must cross a street to get to the beach but it's not a bad walk. We 70-year-olds walked it with ease. Secondly anyone having trouble negotiating stairs would have difficulty going up to the second floor.